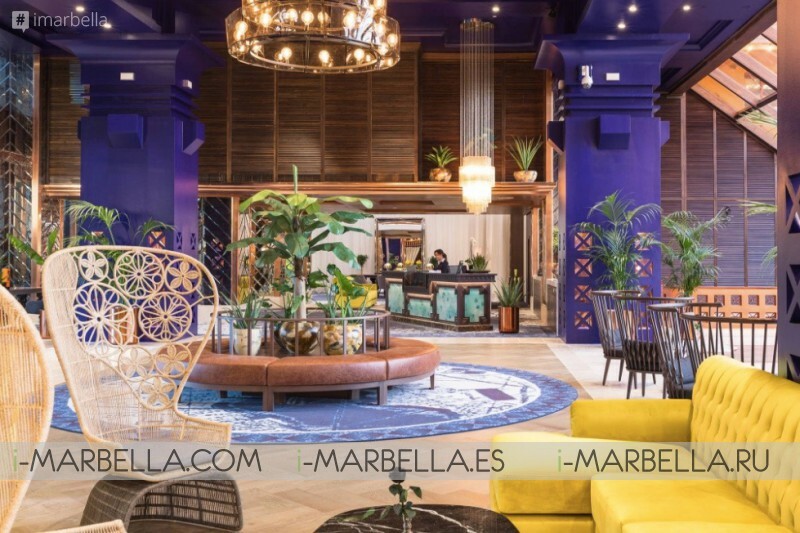 After a very ambitious redesign project, the Kempinski Hotel Bahía Estepona opened its doors again to the public in March 26th. The project consisted of an extensive redesign of the lobby, restaurant, bars and public places. 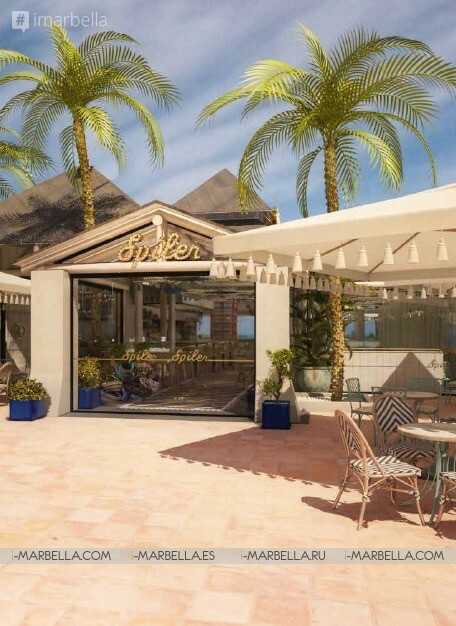 The new additions include a Baltazar Steak House grill-restaurant; Spiller Beach Club, Back Rose Back cocktail club, a lounge and restaurant with ocean views. 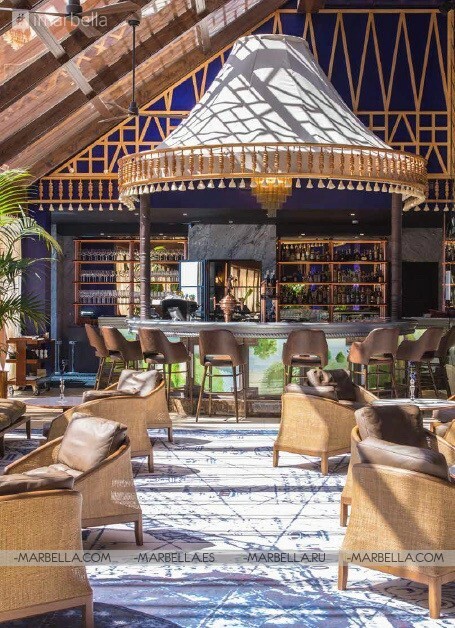 Kempinski Hotel Bahía has had a beautiful redesign and has launched a collection of new restaurants under the name El Paseo del Mar. Back in December 2017 Kempinski Hotel Bahía closed to begin an ambitious redesign project of the hotel's lobby and public spaces. The hotel teamed up with Architects Akos Bara, worldwide experts in hotel and restaurant redesign and local company B. Solis Construction. This project has enhanced the hotel’s quintessentially elegant status with opulent characteristics, embracing the very essence of Kempinski Hotels, Europe’s oldest luxury Hotel Collection, Let's review all the places that have been redesigned. The renovation has introduced a bold color scheme featuring deep blues inspired by the hotel’s Mediterranean views and an elegant colonial style. The hotel fused original items like the unique iron chandelier with new elements such as a carpet depicting an ancient map of the world. This carpet pays homage to all travelers and explorers who gather at the hotel and adds texture and comfort to space. The star at the heart of the lobby is Black Rose The Bar cocktail bar and lounge. This is the hotel new lobby bar and the place to meet, have a coffee, high tea or enjoy a specialty cocktail in stunning surroundings. “At Kempinski when we think about luxury hotels, we think about an extraordinary place with glamorous details and one of a kind design, which is why we have transformed the lobby” the hotel’s General Manager Carla Lopes explains. El Paseo del Mar is a gastronomic hotspot which combines three fantastic concepts – Black Rose The Bar, a cocktail bar and lounge, Baltazár Bar & Grill which is a cool poolside restaurant and the third concept on the seafront, Spiler Beach Club, all set within the beautiful Kempinski Hotel Bahía. In cooperation with the Zsidai Gastronomy Group, it is a hub for great food and exceptional service in a cool, refined upscale casual environment. Located in the lobby at El Paseo del Mar and on the terrace of the Kempinski Hotel. Designed with the idea of the exotic kind and beautiful mystery. The Black Rose Bar counts with an overlooking the celebrated Mediterranean views and the Africa coast, it’s the perfect place to sip a cocktail with friends. As a side note; Black Rose, it's known as the mysterious and legendary caravel ship from the 16th century that sailed along the coast of Costa del Sol and sank so many pirate ships to the bottom of the sea. The caravel helped defend the Spanish Imperium from pirates for centuries and brought so many glories to Spain. A refined rustic yet cool poolside restaurant celebrating traditional fire-based cooking. 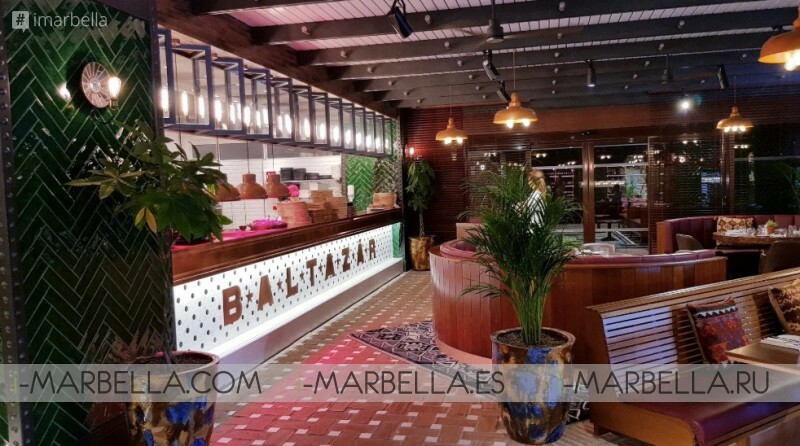 Baltazár offers wonderful grill and Spanish dishes, serious meats, and seafood in a bold atmosphere that blends Andalusian design with the modern Western steakhouse. You will find beautiful ingredients, prepared with love and care in their handbuilt Josper oven or the Tandoor oven. The menu features tapas to share, dishes from the fire, chargrilled gourmet burgers, soups and salads. Baltazar’s unique wine list covers the whole of Spain and the most iconic wine regions of the world with more than 150 titles. Cool casual beach restaurant & bar right next to the sea, featuring our favorites from wood-fired artisan pizza, through open fire Argentinian grill dishes, to the best burgers and superfood salads on the coast. These three are the most highlighted spots that have been renovated after more than a year of hard work and dedication. Kempinski Hotel Bahía features 128 rooms and 17 suites. The rooms are classified into 4 different categories depending on the view and ranging in size from 42 to 45 sqm. All rooms enjoy terraces and balconies with views of the beautiful garden and sea. The 17 suites are divided into 7 categories and are between 80 and 100 sqm. There are six Junior Suites as well as two Bahía Residential Suites and Suite del Mar, the latter is designed with a maritime and colonial style with an area of 150 sqm, and on the terrace, there is a private whirlpool. The Kempinski Spa and Fitness Centre features a state-of-the-art gymnasium, including a Technogym Kinesis wall, a Finnish sauna, a steam room, and a relaxation area. A wide range of sophisticated beauty and wellness treatments tailored to the tastes and needs of each client are offered. The crown jewel of the treatment rooms is the Aqua Spa suite, which is ideal for couples to enjoy treatments followed by a whirlpool after. The newly renovated hotel has also venues such as ''El Mirador'' who offers over 100 Kempinski-selected international and local specialties. ''La Cocina de Mi Abuela'' is a cozy and private venue ideal for wine tasting and the famous Spanish tapas. Kempinski Kids Club where children can enjoy fun activities, playgrounds and be entertainment by a professional team from Kempinski. And of course, a place for the gentleman Golf Concierge or ''The Golf Desk'' offering various packages and special prices for many golf courses on the Costa del Sol. There are more than 20 golf courses! 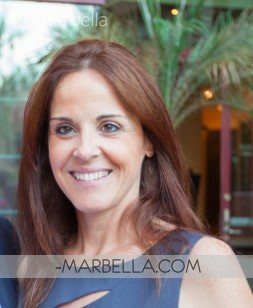 Carla Lopes joined Kempinski Hotel Bahía as General Manager in June 2015. Born in Portugal, she began her career in the hospitality industry in 1996 as Assistant Executive Housekeeper in Pontresina in Switzerland. In 2004 she moved to Kempinski Grand Hotel des Bains in St. Moritz, where, within 9 years, she went from Executive Housekeeper to Hotel Manager. 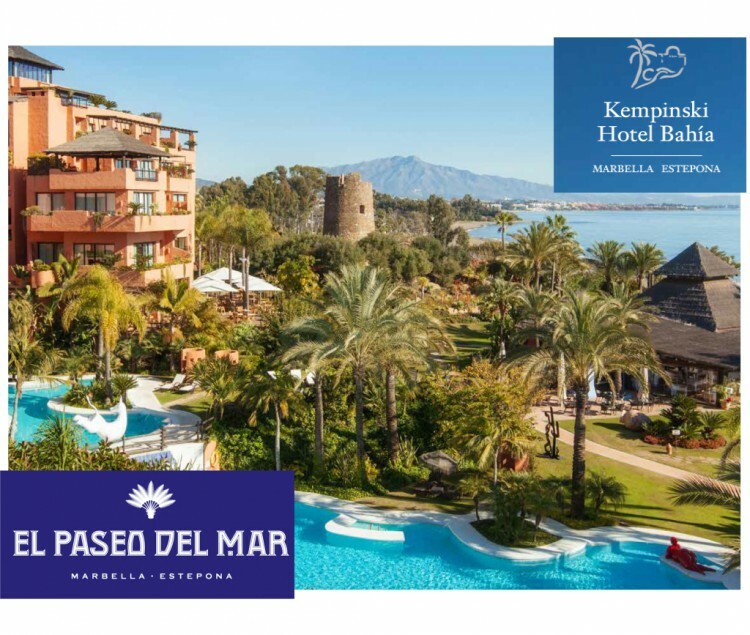 Kempinski Hotel Bahía is located in the very heart of Andalucía on the Costa del Sol. 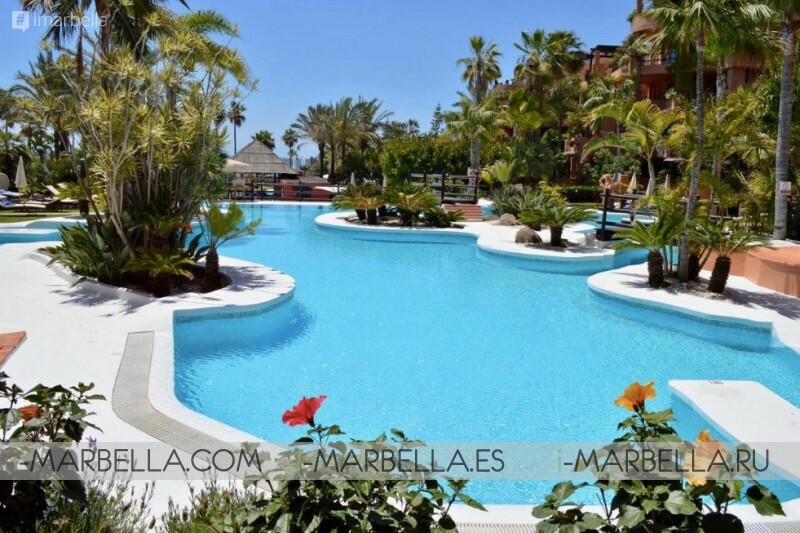 Directly outside the unspoilt and traditional fishing village of Estepona, 20 minutes from Puerto Banús and Marbella. Kempinski Hotel Bahía enjoys a privileged front line beach position with incredible views out over the Mediterranean and the coast of Africa and Gibraltar. The hotel was designed by one of the most reputed architects on the Costa del Sol; Melvin Villarroel.